The growing (no pun intended) trend of the ‘urban jungler’ is quite literally growing. Homeware and interiors brands are offering a wide and trend-aware range of indoor gardening, house-plant accessories. Materials popular at the moment including marble, metallics and woods have found there way into design of pots, planters, ledges and dishes, that can be used for your growing collation of indoor planting. Danish brand, Ferm Living, the gorgeous Scandivian interiors design store, are leaders in beautiful indoor pots and planters, with a range of products with strong design, great materials and perfect colour palette. 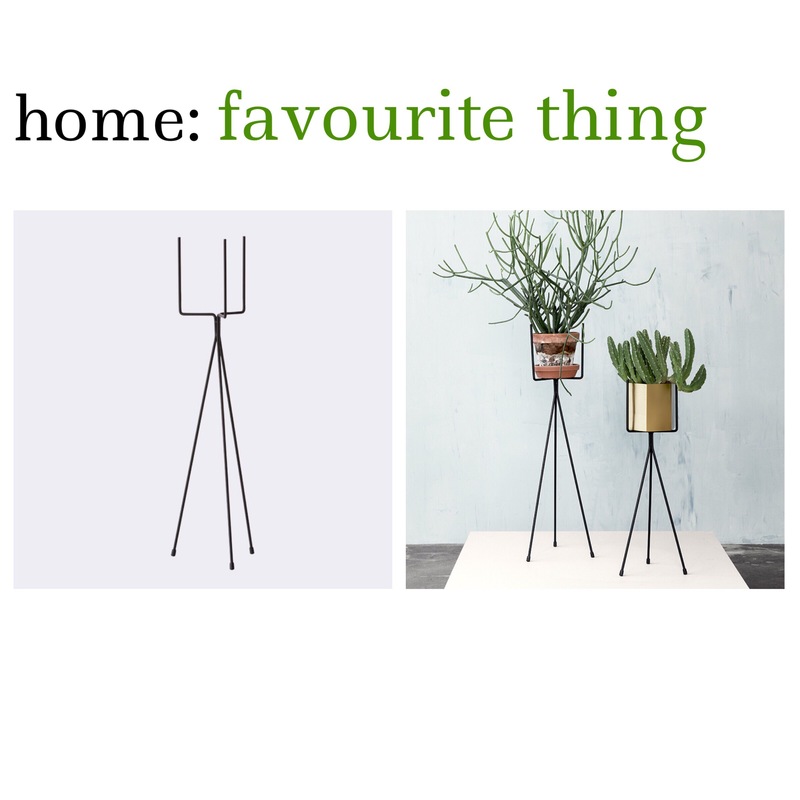 This powder coated iron plant stand is minimal and perfect with its clean lines. It could stand alone or pair up with its smaller counter part.